Three Double-crested Cormorant (one's head is hidden behind the wing of another) standing on a rock with a large number of American Coot swimming in the background. 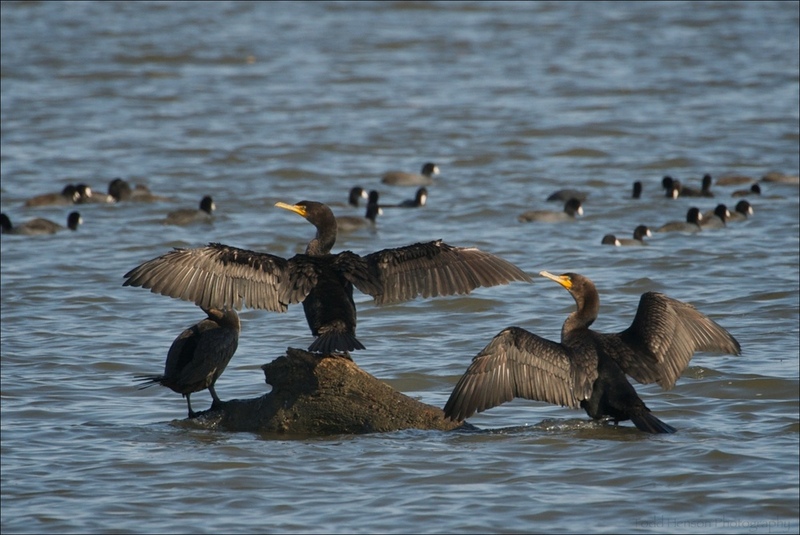 The Double-crested Cormorant is a completely black bird with a yellow/orange bill. They are often seen in groups. 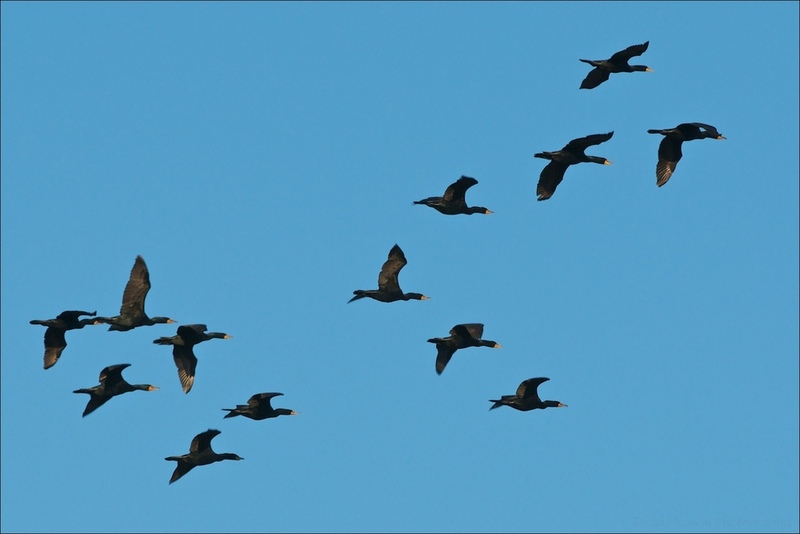 Cormorants feathers are not as water-proof as many other birds that spend so much time in the water. This gives them the ability to dive deeper for food, but it also means they need to dry off more frequently. They are often seen sitting or standing with their wings fully spread out horizontally to dry. Three Double-crested Cormorant, two fighting for position on the rock. 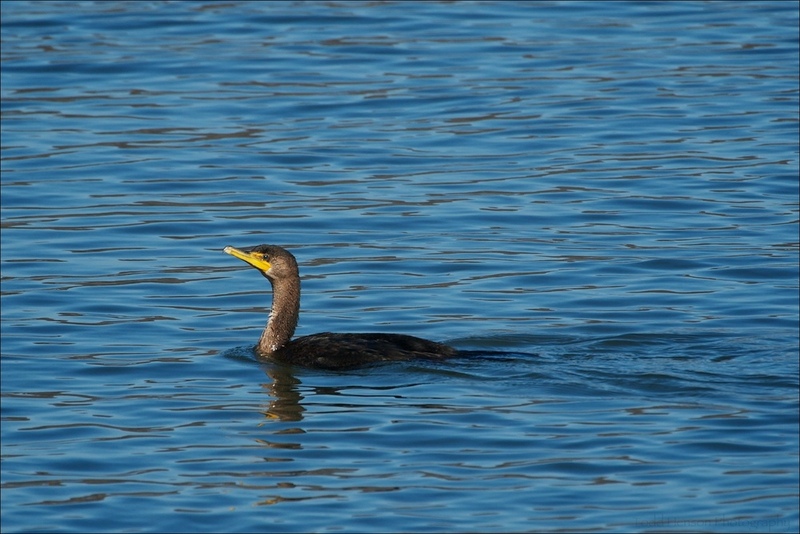 Double-crested Cormorant swimming upriver in late November.